Airbrush colours for graded highlights, shadows and volumes. 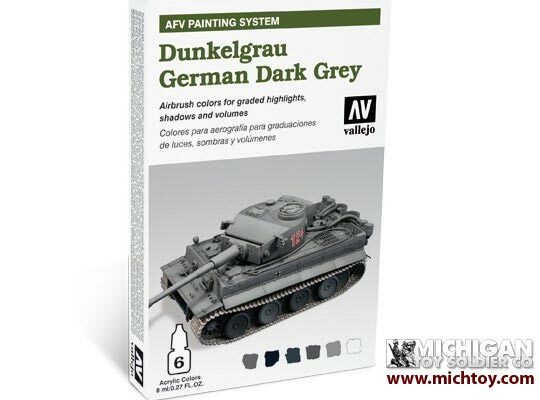 AFV Painting System. Consists in the application of a series of base colors in half and quarter tones, in a gradual change from one shade to another. These effects of light and shadow, contrast and volume, will give the scale model an authentic and realistic appearance.